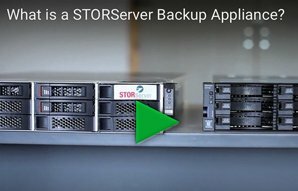 Backup Appliance > What is a STORServer Backup Appliance? STORServer is the original provider of what is known today as the “Backup Appliance,” a comprehensive, fully integrated, backup, archive and disaster recovery solution in a single, easy-to-use configuration of hardware and software technologies. Learn more about STORServer products and services! Let us simplify your data protection project. Contact us today!